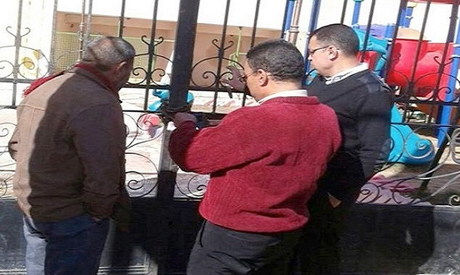 Alexandria governorate closed down on Sunday Lion Village after a trainer died from injuries following an attack by a lion last weekend, Al-Ahram Arabic news website reported. Last Saturday, lion trainer Islam Shahin was attacked by the lion during an entertainment show for school students and died of his injuries later on Monday. On Tuesday, Shahin's brother told TV host Moataz El-Demerdash on the 90 Minutes programme on Al-Mehwar that security precautions should have been put in place around the stage such as weapons or anesthetics to use against the lion. The lion, which mauled Shahin, was recently brought in from South Africa. It was not well-trained and had previously attacked another trainer, Shahin's brother said. He explained that Shahin, 35, had been working as a lion trainer for 13 years. Lion Village, located on the Cairo-Alexandria desert road, an hour-and-a-half car ride from Cairo, is a circus that hosts shows for animals such as lions, tigers and snakes.